Being an ardent follower of Lisa Eldridge recently I read her post about The Beauty Pioneer – Helena Rubinstein (if you haven’t already read it, you must!) with great curiosity. The story of Helena Rubinstein’s above par business sense, innovation, path and astute skills in production and marketing of beauty products is undoubtedly commendable. However it made me ponder if women, especially in this day and age with unlimited access to internet (Review on blogs, Makeupalley, customers leaving reviews on Sephora, Ulta, SpaceNk, Paula’s Choice etc), are still gullible to fancy packaging and upmarket sell? Don’t get me wrong, I’m woman and I’m attracted to beautiful packaging as any other lady walking down the street, but the million dollar question is would you fork out more of your hard earned money for the fancy packaging and upsell? Deep down in our hearts we may be doubting if the product would deliver its claims. 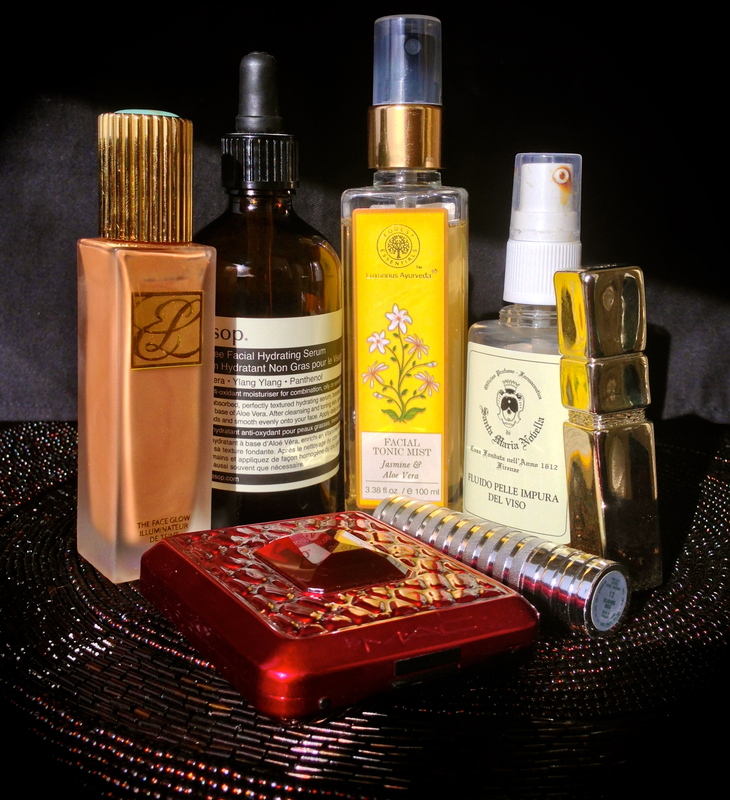 Would our wandering enthusiastic minds be willing to surpass the fact that ingredients in the beautifully packaged product would do our skin more harm than good or nothing at all!? On the other hand, one may also argue fancy packaging is not the tipping point of a purchase! Lately big brand companies (such as Jurlique, Aesop, Dermalogica, Chanel etc) are introducing products with simpler packaging but smarter marketing. Are we falling for that now? Does that translate to a classier upmarket product or does that interpret as fuss free, simple and to the point packaging? Or are they simply saving moolah on packaging and yet charging us an arm and leg for their products? I would question….why….is it because the ingredients are ultra special? In case of Helena’s Crème de Valaze it was a upsell of basic Lanolin with some enchanting aromas, and selling at an exorbitant price justified with twisted sense of female psychology. For decades we have seen some products being marketed on basis of their star ingredients. Marketers include hi – fi ingredient speak which an average consumer can barely pronounce leave alone understand its benefits! For example: Niacinimade (sigh such a tongue twister). In some instances, if we really have the time and attention to detail we may notice that the star ingredient is far behind on the ingredient listing. Which may indicate it’s not as potent as they claim the product to be! But they would still like us to shell out top dollar. On what basis are they demanding more money….can product honestly deliver its claims? Women are known to be most self-critical creatures, which may lead to some insecurity about themselves and their appearance. In saying so, women are also the most hopeful species existent on planet Earth, why else would we resort to products with excellent marketing and PR to make us believe the product would be best suited to our relevant skin concerns. Are they deceiving our innocent hopeful minds? We have all been victims to emerging trend of celebrity endorsements. Sigh the bloggers and You Tubers are required to disclose if the products are PR samples or purchased with their own money, why don’t we question the celebrities? They are getting paid hundreds and thousands of dollars to endorse a product. We have no way of tracking if they are actually using what they endorse, god alone knows what goes on behind their closed vanity doors. The beauty industry is mega billion dollar industry; generations of entrepreneurs and big brands have made gazillions of dollars on what principle? What is that buzz mantra that keeps it all moving, are they really listening to consumers or are they manipulating consumers to their speak! Nevertheless we are all mesmerized by it everyday, falling for different marketing jargons, some people (like myself) write about it…but as they say ‘the show must go on’. Thanks for taking time to read and wandering with me in my thoughts. I lurveeee face masks, the whole routine is my way to escape from daily mundane tasks. Basically little me-time. 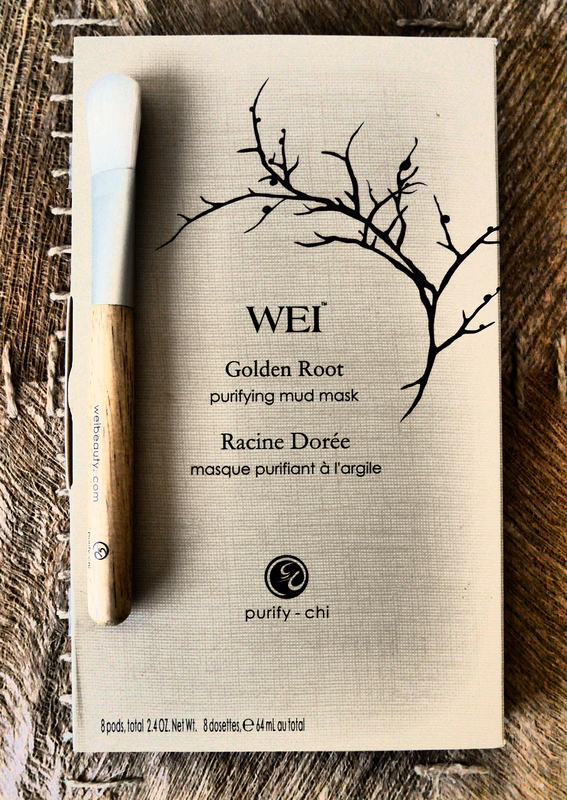 So today I will talk about Wei Golden Root Purifying Mud Mask. I first heard about this mask on A Model Recommends and ever since I was so curious to try it, not for its ancient Chinese theory claims but simply for its packaging (extremely shallow move….I know!). Lets dive straight in, it comes in 8 little tubs of goodness arranged like beautiful chocolate box! Now they make look little but each pot lasts me at least 3 uses (tight cling film the leftover). The content of the pot is rich brown mud mask (seriously looks like chocolate). Definitely not your standard mud mask, its much easier to work with. Plus it comes with a brush for applying the mask, and this is a fabulous touch. I have used this brush for applying many other masks (such as Glamglow, D-tox Purifying Mask, etc). 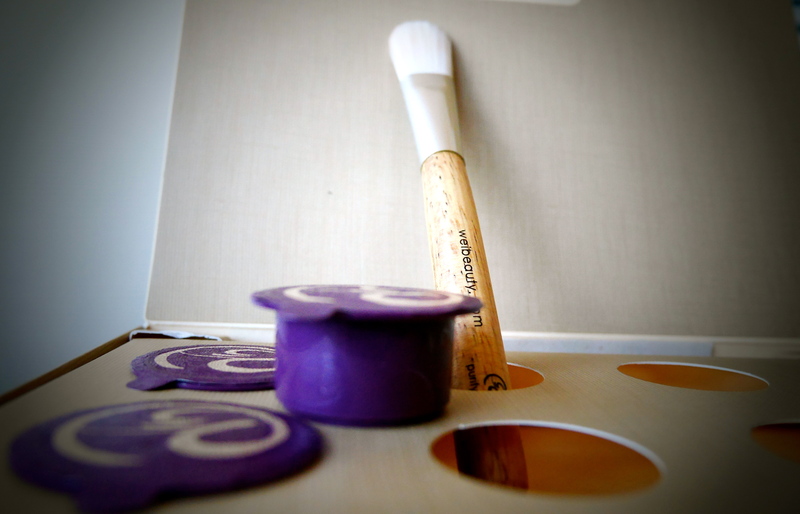 Feels so strangely relaxing to apply with brush…like in a day spa. On application its slight tingly however in no way its uncomfortable plus doesn’t last long. I leave it on for half an hour, complete laundry or do my nails or unload dishwasher. Weirdly all of above activities are therapeutic (yes I’m weirdo, I get it). Then I warm wash cloth, lightly steam my face and wipe mask off my face. Skin glows! Yes skin glows, it also looks tighter and brighter. Its perfect for that time of month when skin isn’t at its best. The mask certainly doesn’t come cheap however over period of time I can justify it. The Accountant/Auditor in me did simple math, here we go: 8 pots * 3 uses per pot = 24 uses. Therefore, $1.75 per use, and a brush that can last for many many other mask application! Steallllll and definite repurchase.